The Lawyer’s Handbook, published annually by the North Carolina State Bar, contains “the rules and regulations of the North Carolina State Bar, the annotated Rules of Professional Conduct, all RPC ethics opinions, trust account guidelines, and the directory of board certified legal specialists”. Every other year, the Lawyer’s Handbook is sent to every attorney in North Carolina, and is an important reference work for the state’s legal community. The North Carolina State Government Publications Collection, one of the digital collections of the State Library of North Carolina, has digital versions of the Lawyer’s Handbook for the years 2002 through 2010. They can be seen at http://digital.ncdcr.gov/u?/p249901coll22,71270, where each volume can be searched, saved, downloaded and/or printed. We try our best to make our collections accessible and usable, but sometimes there are features that just aren’t easy to find. Hopefully, you’ve already taken a look at the Family Records Collection (a joint project with the North Carolina State Archives). There you can find digital copies of Bible records and other genealogical materials. When you look at a Bible record, try clicking on “page & text” in the upper left. You’ll then see the record in a new window, with a transcription done by one of our staff or volunteers. 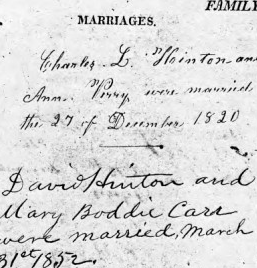 (See the example below, from the Charles L. Hinton Family Bible Records.) This feature helps when trying to decipher handwriting that is sometimes cramped, faded, or very different from handwriting today. If you see what you believe is an error in our transcription or if you’d like to volunteer to transcribe, we’d love to hear from you. This is an excerpt from the Hinton Bible. Here's the accompanying textual transcription. The State Doc Pick of the Week is the North Carolina State Energy Report, which was prepared by Appalachian State University and published by the North Carolina Energy Policy Council and the North Carolina Energy Office. Look here for state data on energy consumption, use of fossil and nuclear fuels, the electricity market, alternative fuels, renewable energy sources, energy usage by the public sector, transportation energy use, residential energy use, and energy efficiency. “There’s a state horse?!? !” commented a recent visitor to the NCpedia’s Colonial Spanish Mustang entry (http://ncpedia.org/symbols/horse). Yes! There is! It is a new addition to the list of Official State Symbols passed by the North Caroling General Assembly. Why the Colonial Spanish Mustang and why now? Colonial Spanish Mustangs on the Currituck Outer Banks and Shackleford Banks are believed to have descended from a herd brought to America in the 1520s in a Spanish colonial mission. Students at Shawboro Elementary School in Currituck County recently requested that the North Carolina General Assembly designate them as the Official State Horse of North Carolina. Their request was approved in June, 2010. The future of the herd of wild mustangs is uncertain as federal regulations address concerns raised by scientists and developers. 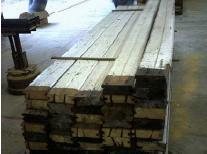 Once numbering in the thousands, attempts to keep it down to no more than sixty may be on the horizon. This week’s Picture of the Week is from the Julian Richard and Loula Omohundro Loving Family Bible Records which can be found in the North Carolina Family Records Online. 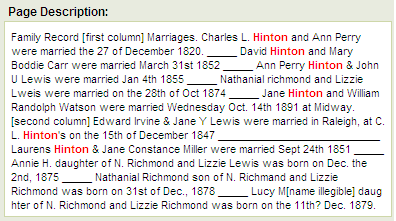 The Julian Richard and Loula Omohundro Loving Family Records was one of the 320 plus records added to the North Carolina Family Records Online in August 2010.